Harnessing the Group’s synergies, we are poised to create and capture value sustainably. Despite the OPEC‑led production cuts and an increase in oil prices, the market has yet to see a resurgence in rig orders. What are your thoughts on where the industry is headed? Oil price is only one of several factors determining when rig orders will return. While the rebound is positive for the offshore sector, it is not sufficient on its own to trigger an immediate improvement in the operating environment. Exploration and production expenditures need to increase in order for the market to improve. And it may take a while before we see a significant increase in capex as oil companies and fleet operators continue focusing on capital discipline and improving their balance sheets. Meanwhile, the utilisation of existing rigs remains weak, and the offshore market will take time to absorb an oversupply of newbuilds. Although the winter in the offshore business is expected to persist for some time, we remain confident of the longer term fundamentals of the sector. Projects that are well designed and executed in a smart and cost‑effective way will be in demand. There will also be other markets to explore such as for gas and production solutions, as well as opportunities to re‑purpose and maximise our offshore technologies for other non‑drilling applications. We have been through four cycles in the past few decades, and have emerged stronger each time. The key is to stay focused and nimble to tide through the difficult period, bring down our overheads to make Keppel Offshore & Marine (Keppel O&M) leaner and more competitive, and also strengthen the Division with new capabilities and innovations to take it into the future. A good crisis is not to be wasted. We will be working hard to ensure that Keppel O&M emerges stronger and further entrench our leadership position in the offshore and marine (O&M) sector. Keppel has made steep impairments of $336 million for 2016, most of which were due to the O&M Division. Do you expect to make more impairments in 2017, what would trigger the decision to do so? Much of the impairments we made in 2016 was related to the rightsizing at Keppel O&M, such as the mothballing and anticipated closing of yards, in addition to impairments of investments and stocks & work‑in‑progress. While it is painful, we believe that given the current environment, the impairments are prudent and necessary. The provisions for impairments have been through a robust review process. They were deliberated at length by the boards and audit committees of both Keppel O&M and Keppel Corporation, as well as with external auditors. As it stands now, the provisions that have been made are appropriate and adequate. We will continue to monitor market conditions, work closely with our customers and review our assumptions on a quarterly basis, as we have been doing. I want to emphasise that notwithstanding the difficult conditions, Keppel O&M remained profitable for 2016. This was possible due to our prudent cost‑cutting and rightsizing measures. 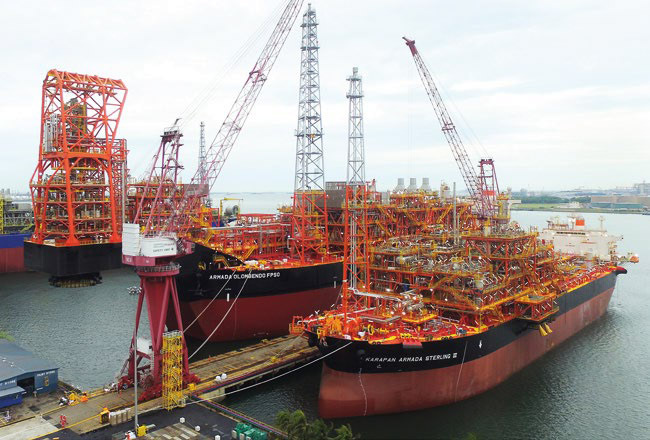 Keppel O&M’s operating profit was $412 million and operating margin was 14.4%, before impairments of $277 million for fixed assets, stocks & work‑in‑progress and investments. This is commendable, given the challenges facing the industry. Given the long and harsh winter in the offshore sector, what other opportunities are you exploring? 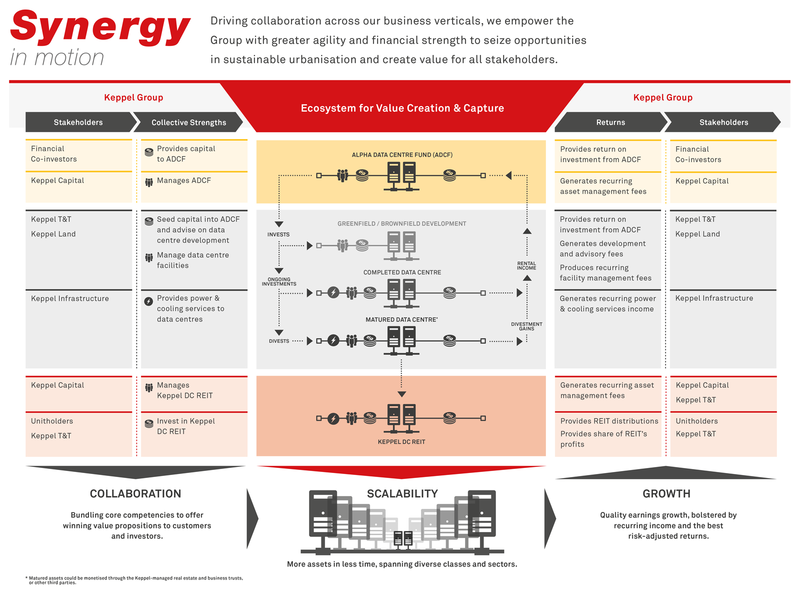 How is Keppel positioning itself to capture these? We are riding out the offshore downturn on a firm footing, anchored by our multi‑business strategy. While many other industry players struggle to keep afloat, Keppel is still in a good position to prudently invest for the future. Our balance sheet remains strong and will allow us to invest and take advantage of opportunities that the crisis may throw up. Gas is expected to be the fastestgrowing fossil fuel for the next few decades, with demand rising at 1.5% per annum from now to 2040, to make up a quarter of global energy demand. Keppel is well positioned to be an industry forerunner through an extensive gas strategy that spans the value chain from liquefaction to transportation to power generation. Together with Shell, we have the ambition of building a global bunkering network to serve shipowners across their travel routes. Being the forerunner in Liquefied Natural Gas (LNG) bunkering allows us to push the envelope for the use of LNG as a marine fuel, creating pull‑through opportunities for our yards. Meanwhile, Golar Hilli, when delivered later in 2017, will be the first‑of‑its‑kind floating liquefaction vessel conversion in the market, putting us ahead of the curve. Last year, we completed the acquisition of Cameron’s LETOURNEAU™ suite of jackup rig designs, as well as rig kit, aftersales and aftermarket businesses. We now have a market share of about 40% of the world’s jackup rigs in operation, giving us better access to the aftersales and aftermarket services sector. Keppel LeTourneau is not only able to provide aftersales field services to ensure smooth and efficient rig operations, but also cost effective, integrated and practical inspection engineering solutions that can reduce rig downtime. It is also looking to provide sensing technology, rig analytics, drone inspection services and enhanced 24/7 monitoring solutions as part of the offerings to fleet owners. We will continue to leverage our considerable capabilities to seize opportunities such as Jones Act Vessels for the US market, as well as non‑drilling solutions including dredgers and specialised ships. As we steel ourselves against the storm, we believe that these efforts, among others, will stand us in good stead to entrench our leadership position in the upturn. Keppel O&M will continue to pursue opportunities in the non‑drilling sector such as for floating production solutions. The Property Division has performed commendably, contributing 79% of the Group’s net profit for FY 2016. Moving forward, will there be less emphasis on the O&M business? We are proud of Keppel O&M but we are more than just an O&M or even a property company. We are a multi‑business group, with different verticals in the same line of providing solutions for sustainable urbanisation such as energy, infrastructure, clean environments, high quality homes and offices, and connectivity. When we go through turbulence and one of our engines slows down, the other engines would have to pick up the pace. And I am glad that they have. Amidst the challenging market environment in 2016, we delivered a creditable net profit of $784 million after impairments, supported by our multi‑business strategy. For our O&M business, we have to recognise that we were at a historically high level of activity just before the crisis hit with oil prices plunging in mid‑2014. We had enjoyed a good run in the O&M sector with Keppel O&M contributing $7.4 billion in profits to the Group over the past 10 years. The future for Keppel O&M remains bright but the industry may take a few years before it can return to the high points seen in the last decade. The Group has operated in cyclical industries for many years and we have utilised our multi‑business approach well to navigate downturns. Whilst the industries we operate in will have cycles, sustainable urbanisation, and the solutions that we provide, will enjoy many decades of secular growth. Looking ahead, our focus is to continue delivering on our multi‑business strategy to show that our model is sustainable, scalable and able to generate attractive returns for the Group. How has the landscape changed for Keppel Land in the light of slower economic growth and cooling measures in its core markets? Will it be able to maintain its performance in the next few years? Cooling measures in recent years have moderated the demand in some of the markets where Keppel Land operates, chiefly in China and Singapore. Whilst the impact is not positive for developers in the short term, as a long‑term player in these markets, it is also in our interest not to have asset bubbles forming as any hard landing will be quite disastrous. Our sales of homes for the past two years have registered remarkable growth despite the challenging headwinds in our core markets of China and Singapore. This is partly due to our focus on selected Tier‑1 and ‑2 cities in China, and our early mover’s advantage going into regional growth markets more than 20 years ago. Vietnam has been an important contributor to home sales and we have, today, one of the best landbanks amongst foreign developers in Ho Chi Minh City. The property development business has evolved in Asia over the years. As economies developed and experienced high growth, land prices have also risen in tandem. There is also healthy competition for land as new local developers emerged, many with strong balance sheets. Fueled by strong ambitions, they have contested aggressively for land. From time to time, land prices may get too high and thus do not provide good risk‑adjusted returns for developers. In the face of this new reality, Keppel Land has grown to become a multi‑dimensional property player. We will continue to buy land selectively. With prices higher now and growth more constrained compared to the past, a landbanking strategy may not work in some markets. Keppel Land has also taken to selling land when prices were high and where development profits did not justify the risks. We have also successfully bought completed assets, which we have enhanced through active asset management, before selling them. We are also not averse to taking positions in operating platforms, especially in markets and segments that may not be entirely open to a foreign developer like Keppel Land. Teaming up with strategic partners like China Vanke has also yielded good results for us. Whilst the general outlook for property markets in Asia remains positive in the long term, Keppel Land can no longer rest on what worked well for us in the past. We have built new muscles and capabilities and will wield them to ensure that we continue to build good homes, offices and commercial buildings that are well sought‑after by buyers and tenants, whilst generating the highest Return on Equity (ROE). To succeed in this environment, we need to be agile and seize opportunities. We have to evolve our business approach, work our assets harder, and better leverage technology and innovation as we address the changing environment, from the wave of millennials to the silver tsunami. 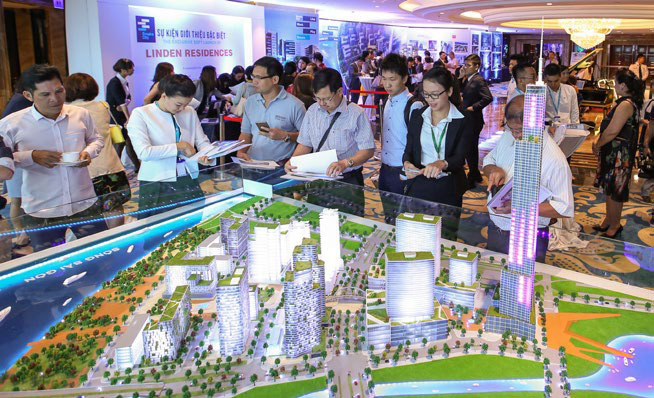 Keppel Land will ride on positive sentiments in growth markets to launch more projects, such as Linden Residences in Ho Chi Minh City, Vietnam. How are you adjusting to this changing environment? What are some of the opportunities that you see in the property sector? Our goal for Keppel Land is to remain a leading Asian property company with one of the highest returns. We do not necessarily have to be the biggest industry player. Over the last 10 years, Keppel Land had turned in a respectable average ROE of about 18.4% annually. It was able to do so while building up a substantial landbank across its key and growth markets. Looking ahead, the level of returns from the property market throughout Asia is not likely to be as high as it was a decade ago. For us to maintain a similar level of ROE, in line with the Group’s objectives, we will need to rightsize the property book and turn the assets more actively. In the immediate future, we will continue to capitalise on positive sentiments to launch projects for sale in promising markets. Vietnam is one such market where we are seeing good demand growth, especially in Ho Chi Minh City. We sold 1,520 homes there for the whole of 2016, 63% higher than the year before. On the commercial front, we opened our latest retail mall in Phase Two of Saigon Centre in August, with Takashimaya Department Store as its anchor tenant. We expect to complete this new phase, which includes 44,000 square metres of premium Grade A office space and 195 luxury serviced apartments, by end‑2017. In tandem with property development, Keppel Land has also been actively recycling its assets. In 2016, it announced 11 divestments amounting to about $680 million, as well as investments of about $460 million in opportunities across China, Vietnam and Indonesia. 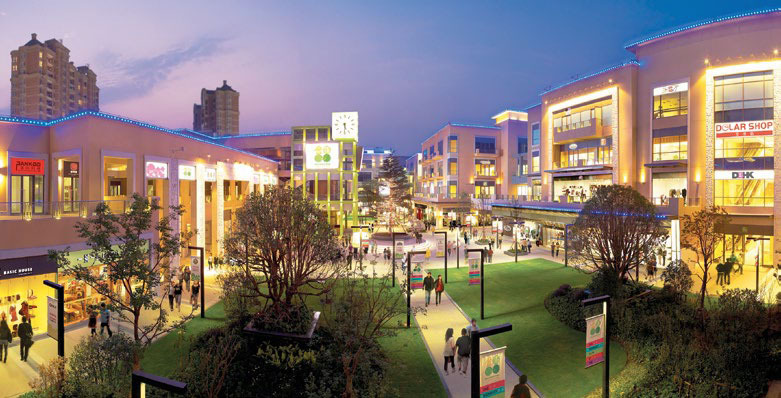 Some of these new investments included completed assets, such as the retail mall in Shanghai’s up‑and‑coming Jiading New City Core Area, which we will manage and later monetise. The strategy of selectively acquiring newly‑completed projects can also give us access to prime real estate within land scarce, gateway cities. Life Hub @ Jinqiao, a mixed‑use development in Shanghai has proven to be an excellent investment for Keppel, and also Alpha’s investors. We divested our 80% stake in the development for US$517 million. This was based on the property’s sale value of RMB 5.5 billion, which was close to a 70% premium over the original purchase price of RMB 3.3 billion three years ago. Through innovative asset management and enhancement efforts, we contributed to growing a profitable mall, and achieved over 20% Internal Rate of Return per annum without taking any development risks. The divestment of Life Hub @ Jinqiao, a collaboration between Keppel Land China and Alpha, yielded good returns without development risks. Turning to the Infrastructure Division, how do you plan on building it into a bigger contributor to the Group? We have been focused on streamlining our Infrastructure Division. Today, the Division’s core businesses are in energy and environmental infrastructure under Keppel Infrastructure, as well as data centres and logistics under Keppel Telecommunications & Transportation (Keppel T&T). We are looking out for opportunities to establish leadership positions in these areas by investing prudently in projects where we can expect good returns. In the past few years, we had focused on trying to resolve the challenges with our overseas Engineering, Procurement and Construction (EPC) projects, which are now behind us. I am pleased that the Doha North Sewage Treatment Works in Qatar is turning in good recurring income to the Group, having commenced its 10‑year operations and maintenance contract. More recently, we are proud to have been awarded a contract by PUB, Singapore’s national water agency, to Design, Build, Own and Operate the country’s fourth desalination plant. Upon completion in 2020, the plant will be the first in Singapore with the ability to treat sea water, and fresh water from the Marina Reservoir. This project can provide the Group with 25 years of recurring income through the operations and maintenance contract and water purchase agreement with PUB. Looking ahead, Keppel Infrastructure is re‑doubling its focus to build up its energy and environmental businesses in partnership with Keppel Capital. It is also preparing for the full liberalisation of Singapore’s electricity market in 2018, which will open up new opportunities. 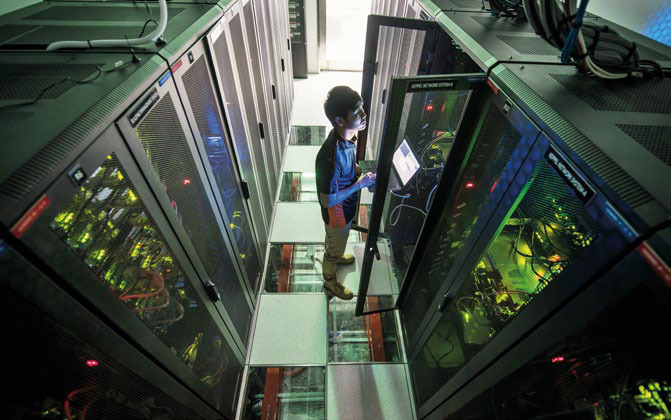 Over in the data centre space, the proliferation of digitalisation, cloud computing and big data analytics will create even more demand for Keppel T&T’s data centre services. Through the Alpha Data Centre Fund (Alpha DC Fund), Keppel T&T will continue to grow its presence and track record in key data centre hubs. Keppel T&T will also continue to build on its foundation in third‑party logistics, to develop new muscles for solutions in omni‑channel distribution and urban logistics. The acquisition of Courex, an e‑commerce fulfilment company, will further strengthen Keppel T&T’s ability to tap the growing e‑commerce sector in Singapore and Southeast Asia. Now that the integration of Keppel’s asset managers is complete, what are the potential sectors or growth opportunities that Keppel Capital is pursuing? 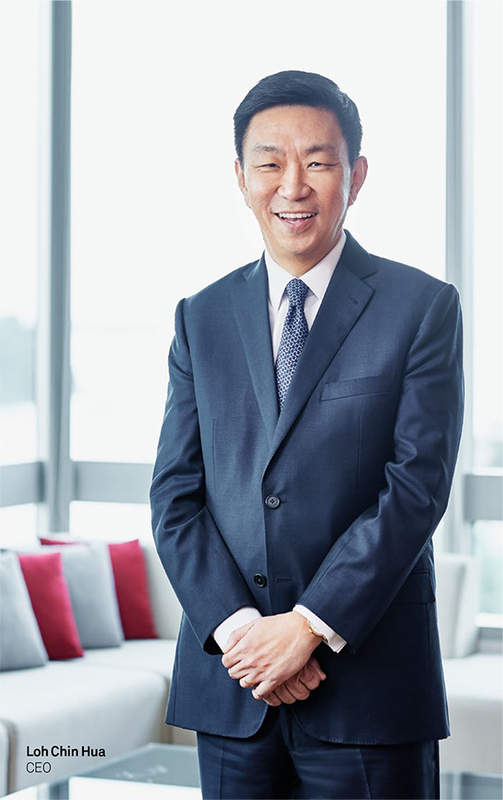 Leveraging the Group’s core competencies, Keppel Capital is well positioned to create innovative investment solutions and connect investors with high‑grade real assets in fast‑growing sectors fuelled by sustainable urbanisation trends. Data centres, power and desalination plants, LNG vessels and FPSOs are examples of such real assets with long‑term cash flows that many institutional investors are looking to invest in. We have had good traction with large pension and sovereign wealth funds; what they are looking for is an organisation with the ability not only to build these real assets, but also operate and manage them well. The Alpha DC Fund and Alpha Asia Macro Trends Fund III, which Keppel Capital launched in 2016, have received initial commitments amounting to US$410 million, as well as made their first asset acquisitions. In addition to creating and managing these real assets, we are also able offer avenues for asset recycling through the real estate and business trusts that Keppel Capital manages. The asset management platform, enhanced through the establishment of Keppel Capital, is thus a very important component of our business model; it is an engine to help unleash our synergies as a multi‑business group. Co‑investments into real estate and infrastructure projects undertaken by the Group will allow us to grow faster without putting a strain on our balance sheet. Will we see asset management becoming a more substantial contributor to Keppel’s earnings in the near future? Yes, we are gradually moving in that direction. Asset management is not a new business, it has been a source of fee income to the Group for some 14 years, beginning with Alpha Investment Partners (Alpha) in 2003 and then Keppel REIT Management in 2006. Today, the Group has four asset managers, which are now part of Keppel Capital. They collectively manage some $25 billion of property and infrastructure assets, and contributed about $64 million to the Group’s net profit for FY 2016, which is an increase from the $58 million in 2015. With the ability to centralise both regulated and non‑regulated support functions in Keppel Capital, we are creating a larger platform with greater focus, economies of scale and synergy to drive performance and grow recurring fee income. In the process, we have also acquired new muscles and the capacity to scale up more quickly by getting our business units to hunt in a pack. Alpha, which used to focus primarily on real estate private funds, has grown its repertoire of expertise by collaborating with Keppel T&T on the Alpha DC Fund in the data centre space. It is further leveraging Keppel Infrastructure’s know‑how to pursue energy infrastructure investments, and is also working closely with Keppel O&M to explore other opportunities. Not only will we expand our capital base and improve asset recycling through Keppel Capital, but we can also create potential pull‑through work for the Group’s business verticals. The proliferation of digitalisation, cloud computing and big data analytics will create even more demand for Keppel’s data centres. How are you prioritising the allocation of resources across the diverse business verticals? We are always trying to make our assets work harder for us. I frequently remind my colleagues in the business units that we are OneKeppel with one balance sheet. It helps that we have almost full control over all our key business verticals. That gives us flexibility to allocate resources across the Group to earn the best risk‑adjusted returns and achieve our strategic goals. While the Group’s strategy is driven from the centre, in assessing potential projects, we take a bottom‑up approach. Our focus is on how we can further enhance the Group’s value proposition as a leading solutions provider for sustainable urbanisation. Maintaining good financial discipline and an institutional‑quality balance sheet will stand us in good stead to seize opportunities when they arise. And we can potentially do a lot more by bringing in like‑minded co‑investors to expand our capital base. As a multi‑business group with access to capital, and the ability to invest when times are tough, we will use this period to prudently sow into strategic areas, building new muscles to ensure that Keppel is future‑ready. What level of returns do you have in mind for the Group? How confident are you of achieving this with Keppel’s business model? Our business model has been generating good returns for Keppel over the years. On average, we have achieved an ROE of 21.3% annually in the last decade, including revaluations, impairments and divestments. We will continue to seek the best risk‑adjusted returns amidst a difficult operating environment. With an integrated asset management arm, we will be able to tap on co‑investors to seize more opportunities, without straining our balance sheet. Most real assets are costly to develop and have relatively long gestation periods. So instead of developing, for example, one new infrastructure asset from our own resources, we can now aim to create more assets together with co‑investors. During the asset creation phase, either from greenfield or brownfield, our business units in the various verticals can earn project management fees or even a developer’s or an EPC margin. Once an asset is developed, we can earn various fees for asset management, operations and maintenance, as well as facilities and property management, giving us multiple bites of the cherry. And when the asset has matured and been de‑risked, we can look forward to monetising it through our real estate or infrastructure trusts. We are not required to invest heavily in most of the private funds that we run. We may eventually hold stakes of about 5‑10%, and still be entrusted with operating and managing the assets. The returns can still be quite attractive, once we add up all the potential fees from our ecosystem. Of course, to be successful, we must also look after the interests of all our stakeholders, including investors who entrust Keppel Capital with their funds. Protocols for managing any potential conflicts have to be clearly followed. Ultimately, our goal is to create good solutions for customers and stakeholders that will also make good investment vehicles for both private and public investors. There are proponents for Keppel to institute a minimum level of absolute dividends, what are your views on this? There are many considerations in setting a dividend policy, which have longer term implications for a listed company. Our Board and management have debated this. The supporters of a minimum dividend feel that it signals a commitment to shareholders, and would also support Keppel’s share price in a down market. For such a policy to be effective however, the minimum dividend must be a meaningful sum to shareholders, and yet not too onerous for the Company to maintain over the long run. We believe in rewarding shareholders fairly and sustainably. While we do not have an explicit dividend policy, investors who have been following Keppel Corporation know that we have had a consistent track record in distributing 40‑50% of our annual net profit as dividends. For FY 2016, we declared a total cash dividend of $0.20 per share, which is equivalent to a 46% payout ratio. This is higher than the 40% paid out for FY 2015, and is within a comfortable range. It is very important that we are able to pay stable dividends as well as balance the Company’s capital requirements, especially in the challenging and uncertain period before us. As we improve the overall quality of earnings through our business model, we will also grow recurring income to better fund our capital spending and dividends.